I hate award shows. The "banter" is so painfully scripted, that it's hard to watch without wincing. And I cannot sit there and watch a bunch of unqualified fashionistas pick apart some of the worst gowns and displays of bad taste as some industry or another pats itself on its own back. Ugh! On the other hand, I cannot lie, I love when someone walks up through the audience, with the theme song from their film blaring, and jogs up onto the stage to accept their award. I have an affinity for Henry Mancini and John Williams....I know...you can laugh at me now. For anyone seriously following East Coast winemaking there can be no question that the Outer Coastal Plain has become one of the premier AVAs on the Atlantic seaboard. More and more and more it boasts a lineup of seriously good wine that belongs in any conversation about fine wine. Never heard of the outer coastal Plain? It's an official designated AVA and it is in New Jersey!!! It must be pointed out that the first company to call out the AVA on its label on a serious bottle of wine that got attention was Tomasello. Give credit where credit is due. 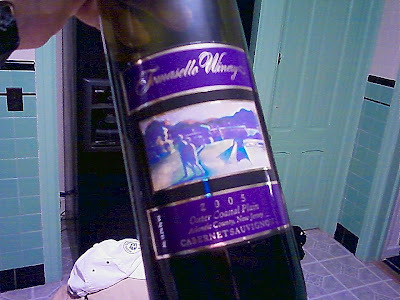 Howard G. Goldberg in the New York Times raved about Tomasello's Cabernet Sauvignon Outer Castal Plain back in 1995! I was so absolutely shocked I went and bought a bottle immediately. The wine was very good. A huge step forward for winemaking in the state. It was immediately clear that the AVA had serious potential. The Outer Coastal Plain AVA is an American Viticultural Area located in southeastern New Jersey. The 2,250,000 acres (911,000 ha) wine appellation includes all of Cumberland, Cape May, Atlantic, and Ocean counties and portions of Salem, Gloucester, Camden, Burlington, and Monmouth counties. The region is characterized by well-drained sandy or sandy loam soils of low to moderate fertility, and a relatively long growing season. 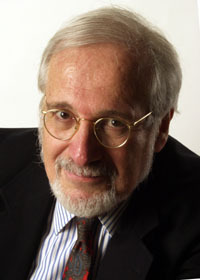 The climate is moderated by the influence of the Atlantic Ocean and Delaware Bay. The region is in hardiness zones 6b, 7a, and 7b. 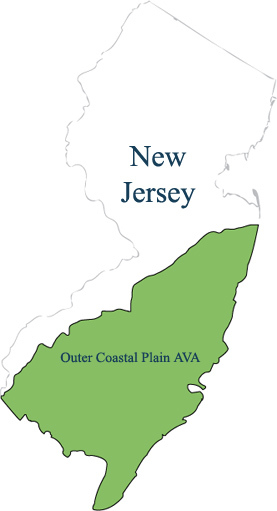 Many wineries located in southern New Jersey within this AVA are members of the Outer Coastal Plain Vineyard Association. As of 2014, there are 28 wineries in the Outer Coastal Plain AVA. Most of the wineries in this AVA are also members of the Outer Coastal Plain Vineyard Association, an industry trade organization "dedicated to the establishment and promotion of sustainable and economically viable viticulture in the Outer Coastal Plain AVA of New Jersey. Some of my favorite wines in New Jersey are being made there by Heritage Vineyards, Turdo, Coda Rossa, Belleview Vineyard, Hawk Haven, Tomasello, Auburn Road, and many others. Especially given recent samplings of Heritage, Turdo, Coda Rossa, and Bellview it's very clear that the region can grow wine grapes that can compete anywhere. If it were Heritage Vineyards alone it would be good enough to earn the region's salt. Their sparkling, their Bordeaux blends, and their other vinifera offerings are of the highest quality. Their sparkling was just featured in the Washington Post. There a Bordeaux blend is among the best East Coast red wines I have ever tried. Turdo vineyards has always been one of my favorite wineries, not just in New Jersey, but on the East Coast. Their Italian varietals grown and it's semi-sandy soil's have been nothing short of spectacular. Their Nebbiolo is outstanding. Tomasello's Polaris Pinot Noir is also an exceptional Pinot Noir and is one of the very best of offerings from the region. Coda Rosa is another example of fine quality wine offerings from the outer coastal Plains. And last only by necessity rather than by quality is Bellevue vineyards. Some of their winds are also quite stunning. Auburn Road's Eidolon is an exquisite white wine of the highest quality! The list could go on and on it is not necessarily the job of this post to review all the winds of the region. But it is meant to serve notice that the outer coastal plain deserves to be mentioned in any conversation about any of the better AVA's on the East Coast. Cue the music....the winemakers of the Outer Coastal Plain deserve to make their acceptance speech and take their bow. They have arrived!